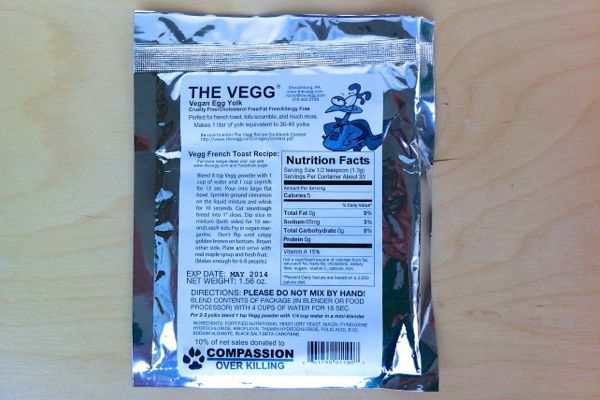 We're still busy reviewing The Vegg vegan egg yolk....but had to wait for our second pack to arrive after using up the first in our experiments. We've now made baked potato frittata four times and we've given up trying to get it to set! We used 6 tablespoons of arrowroot in the latest attempt...and we're now arrowroot converts...it sets really smooth and is not at all floury like cornflour (cornstarch). We're actually happy with the way this has turned out, with a soft-set creamy texture so we'll post the recipe with our review. 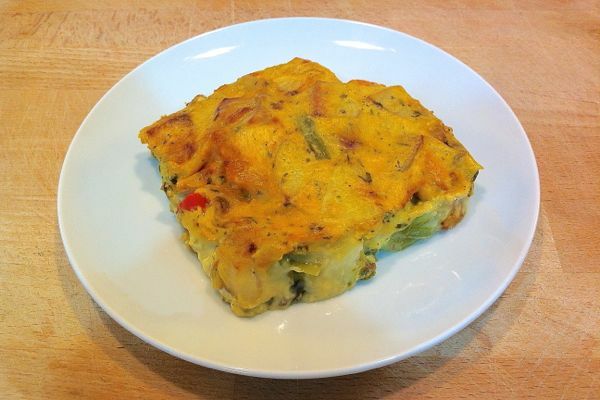 UPDATE: Our review of The Vegg is now live...with the recipe for this frittata.